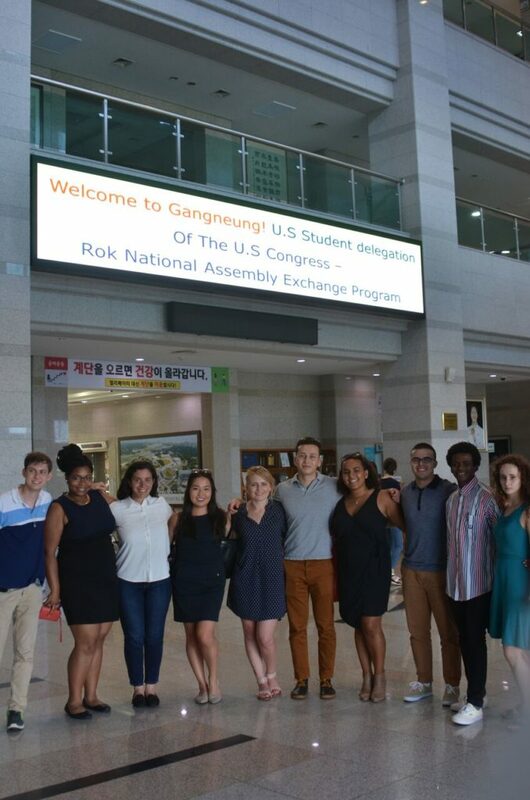 American participants visiting the Namsangol Hanok Village in downtown Seoul. 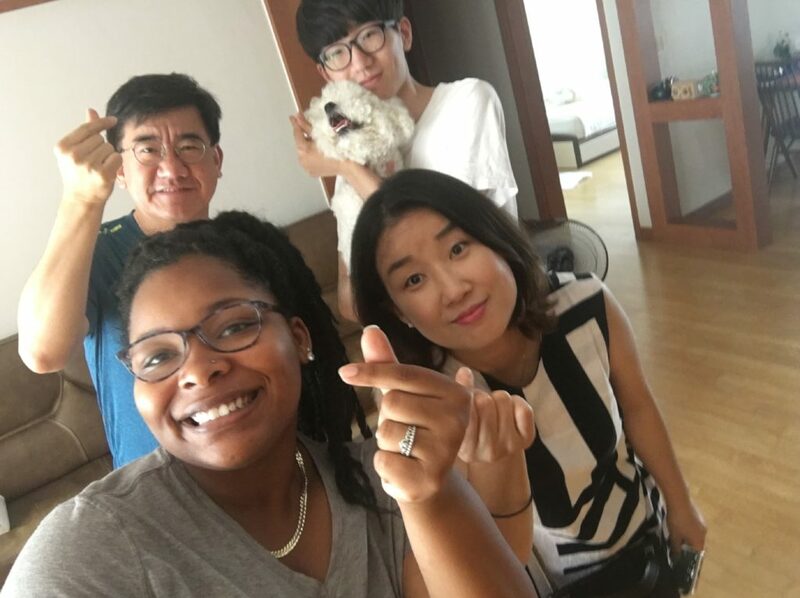 Following below is a blog by one of the U.S. participants in the program, Nasya Blackwell, written at the conclusion of the program in which she shares her impressions of Korea and of the program, her experiences and the lessons learned along the way. Nasya, a native of North Carolina, is currently Senior at North Carolina Agricultural and Technical State University where is she is studying Political Science and English with a minor in Spanish. Nasya was nominated for this program by Congressman Mark Walker who represents North Carolina’s 6th Congressional District. “I am not sure the moment I realized how blessed I was to get chosen for this opportunity. When I left my university in May I had many disappointments. One included not having a summer internship or program that I really wanted. After many rejections for internships and programs, I just knew it was over for me. Receiving this acceptance changed my outlook on the summer and of my future career, but Korea truly changed my life. 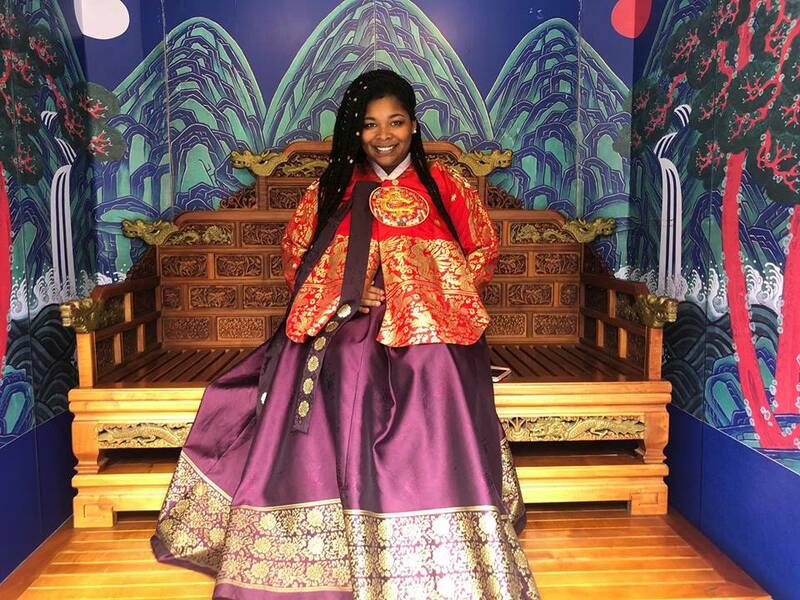 Nasya wearing Hanbok in Gwanghwamun Square, Seoul. I wish I could say that before the trip I was an expert in U.S. and Korea relations and I could speak fluent Korean. However, the program forced me to step out of my comfort zone and immerse myself in the rich culture Korea posses. After seeing the city of Seoul, I realized no place I have visited compared to the pure magic of the city. Instantly, I found the value of a global outlook. I begin to see far beyond what was in front in me and enhanced my chances to succeed in a global society. 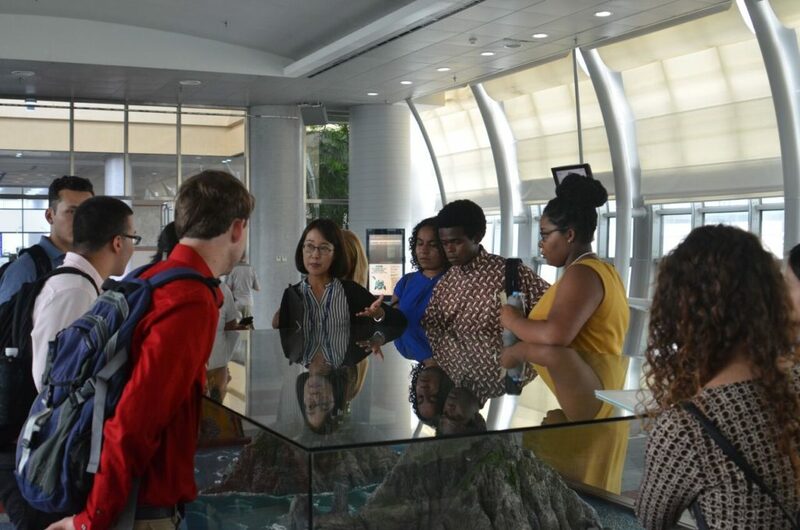 American participants pictured while visiting the Library of the National Assembly and learning about the Dokdo Islands. nasya is pictured here wearing yellow. Having a delegation of Americans and Koreans made my time even more memorable. Sharing the experience with people who hold similar interest as you and the want to see you succeed makes you realize that happiness comes in enjoying the happiness of others. A highlight of the program included our travel to North Korea to meet with members of City Council, Deputy Mayors, and attending meetings at the Ministry of Foreign Affairs. The American participants in the program as they are about to enter the Gangneung City Hall for a meeting with the city’s Deputy Mayor. Gangneung was one of the host city of the 2018 Winter Olympics.